You’ll be seeing these shades everywhere next year. With the most recent fashion month officially in the books, we’re looking to the runways for fashion colors, materials, and styles to steal and translate to our interiors. Luckily, it seems as if Pantone is on the same wavelength. 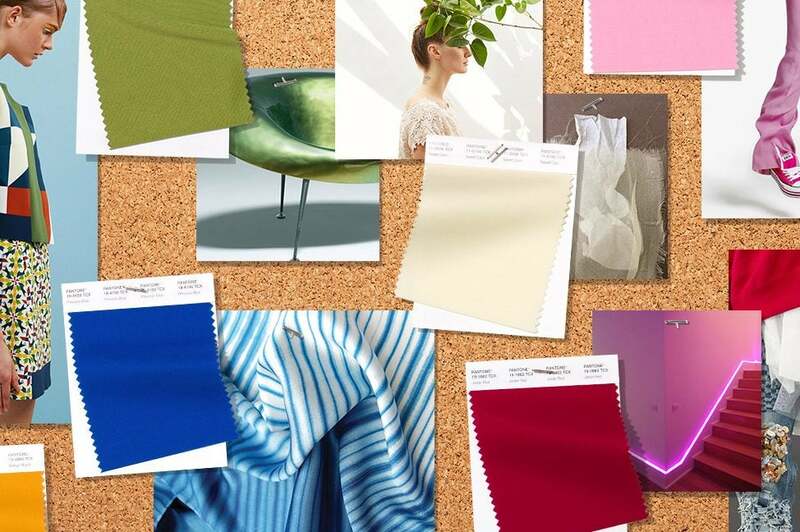 The color expert—whose pick for Color of the Year always seems the most noteworthy—released its predictions for the spring/summer 2019 season, based off of what they saw at New York Fashion Week. The result? A Fashion Color Trend Report, featuring the 16 most pervasive shades in this season’s shows. All of which, let’s face it, we could definitely use right about now. Any way to inject a little positivity into our daily lives is always welcome—so we hunted down some of our favorite design products in our ten favorite hues from the report. Whether you’re willing to splurge on a big-ticket item or bring these soon-to-be-trending hues home in smaller ways, here’s how to shop Pantone’s most recent color report. A fiery red is first up on the report, and to be completely honest we’re not surprised. This hue has been trending for a while; and by the looks of it, it’s here to stay. Meaning, if you haven’t already picked up a few bits and bobs in this shade to add to your home, consider this your cue to do so. We’re loving this sculptural lamp for an unexpected desktop accent. A glazed porcelain bowl, handcrafted in Jingdezhen, China, and modular placemat are fun ways to elevate your tabletop or kitchen. Not feeling this bold color (it’s definitely not for everyone)? Ease into it. An abstract pillow, where the red is less dominant, is the way to go. This shade of red is a bit more palatable—not to mention, totally autumnal. Deep crimson feels warm and luxurious, so revel in it by swapping out your bedding for some in this shade. Washed linen is a crisper material that will balance out how rich the color looks. A funky end table brings a burst of color to your bedroom when used as a nightstand. Retro chairs, sold in a set of four, are both comfortable and chic. For a bit of ombre, pick up this set of tapered candles. Group them together for a mantel statement, or hang them up—the wicks come molded together—for a cool wall accent. A warm, sunny tone sure to brighten up even the dreariest of days. Choose the sculptural vase to fill with your favorite blooms to further breathe life to your space. This particular color is a great one with which to wash your walls, so if you’re particularly daring, try something like Benjamin Moore’s “Sun Porch.” If not, restrict your updates to smaller things: A striped pillow, a golden yellow mug, or a set of linen napkins. One of the few cool tones on this report, this saturated blue is calming yet statement-making. We love the contrast of an earthy material like clay or stoneware (the bowl and the mugs, respectively) with a shade that feels lighter and pulled straight from the ocean. A minimalist tea towel whose only pattern is a set of cobalt stripes is a great way to bring in a hint of pattern for the print-averse. And how cool is this glass pitcher? Why not go for something a little unexpected to brighten up your home and keep the warm weather vibe going year round? Pair a washed linen cushion cover with a seating option in an equally vivid hue, like deep blue or dark red, for an unmissable color moment. A coral utility mirror can hang from the wall of your bathroom to bring interest to an otherwise unremarkable space. Spruce up your dinner setting with a bright plate, and warm up bare floors with the addition of a fun little rug with an abstract design. Somewhere between mauve and lavender, you’ll find this pretty hue. Delicate and feminine, the way to incorporate this is in small doses so as to not overly sweeten a room. Think a simple cotton cushion cover, for example, or a little ceramic flower pot. Pink salad servers make the most uninteresting of courses (salad) feel stylish. And as for the Turkish towel, you can never have too many textiles, right? Per the Pantone report, “zesty yellow-green encourages our desire for nature’s healthy bounty.” Well, we’re not sure if simply having green pieces laying around your house will inspire you to ingest a green juice or vegetable, but it might be worth the try. Start with textiles, layering in a set of fringed linen napkins, an avocado-hued tea towel, or a monstera leaf-shaped trivet to your kitchen or dining room. Then bring a bit of contemporary edge to your desk or nightstand with this sleek table lamp. One of our favorite colors for fall is apparently fashion-approved, too. A common misconception is that this shade is difficult to work with and implement in your home seamlessly, and this couldn’t be further from the truth. Tiny handmade espresso mugs from France make a gorgeous addition to your kitchen open shelving, as does the glazed porcelain water jug. A cool, contemporary mirror will jazz up your drab entryway in no time; and for your living room, consider this woven stool. While hot pink (and neon in general) is trending, we’re all for trying this punchy shade out in more sophisticated ways. A deeper take on fuchsia can make your space feel elegant and sophisticated, rather than Barbie’s Dream House come to life. Try a velvet accent chair for an instant hit of opulence in any corner. A woven throw is essential in the colder months, and this pink knit is definitely on our shopping list. For a way to organize your magazine or coffee table book addiction, utilize this serving tray as a catch-all. Finally, we’re biased, but this ombre dinnerware (which we designed ourselves!) makes for quite the unique tablescape. Quite famously an unexciting color to decorate with, brown gets a bad rap for being boring. But the warm neutral is great for grounding a space, and when you look at lighter shades of the color, it can still feel exciting. A simple wooden stool (great to double as a plant stand or even makeshift side table) and mod counter chair make great finishing touches to any room. On the smaller end of the spectrum, a tassel cushion cover and ceramic vase help you layer in accents to make your home feel more lived-in.